Tested and developed by the fastest ATV Champions around the world. 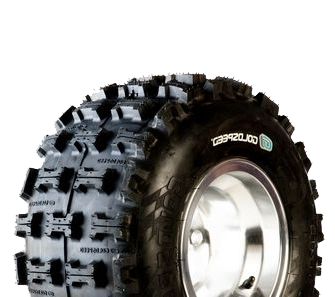 The Goldspeed MXR ATV tyre is a true ATV racing tyre constructed & built with the latest tyre technology available, built to last through the toughest conditions & provide the most consistent traction available. The MXR tread pattern & duel rubber formulated technology provides consistent & predictable performance on or off the track. The new sidewall apex technology is designed to reduce sidewall flex on the fly for a supreme traction and vehicle stability.